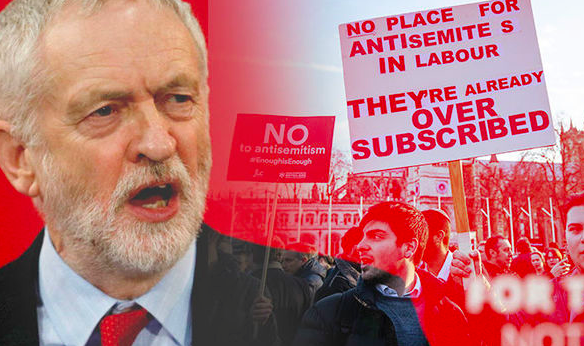 By Jonathan Cook: For months, a campaign has been aimed at destabilising British Labour Party leader Jeremy Corbyn, accusing him of anti-Semitism. The right-wing of his party, Tony Blair’s heirs, and pro-Israel circles are targeting both Corbyn’s left-wing line and his support for the Palestinian people. But the mix of inaccuracy and clumsiness of Livingstone’s off-the-cuff remarks are not what got him into trouble: it was the claim that Hitler “was supporting Zionism”. Almost immediately the media reformulatedLivingstone’s statement as “Hitler was a Zionist”, even though it seemed patently obvious that was not a fair summary of what he said or meant. And the dominant faction of Blairite MPs fearlosing their party to someone they view as a political dinosaur and a threat to the political and economic order they champion.